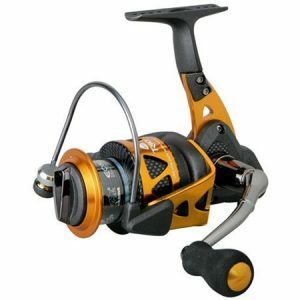 Okuma Ceymar Spinning Reel: The Ceymar is a lightweight saltwater and freshwater spinning reel. It has a line capacity of 110/4 to 310/15 (yards/lb). 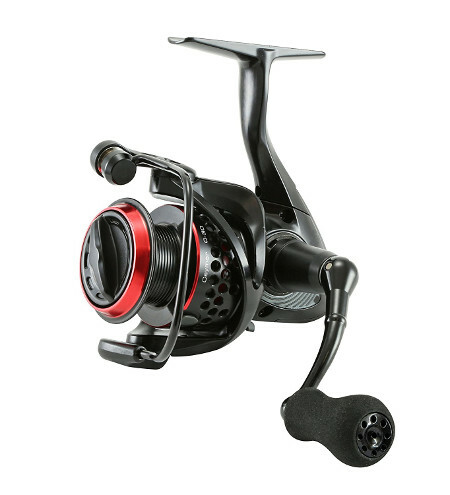 It’s a great spinning reel for fish weighing from 5 – 20 lbs. Okuma Avenger Spinning Reel: The Avenger is a larger reel than the Ceymar and is also great for saltwater and freshwater fishing. The line capacity is 90/8 to 220/30 (yards/lb). 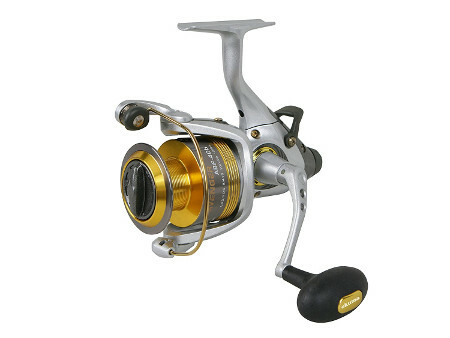 It’s a great spinning reel for fish weighing 5 – 35 lbs. 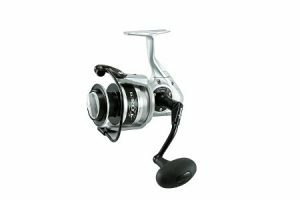 Okuma Trio Spinning Reel: The Okuma Trio is a unique spinning reel because it features 2 different materials, graphite and aluminum. It’s a great spinning reel for saltwater because there are less parts that can corrode from saltwater. Graphite is impervious to corrosion. The line capacity is 220/4 to 120/25 (yards/lb) and is great for fish weighing from 5 lb to 30 lbs. Okuma Inspira Spinning Reel: The Inspira spinning reel is a carbon fiber framed reel for inshore saltwater fishing. Carbon fiber is very strong and much lighter than metals like aluminum. It’s also impervious to saltwater corrosion. 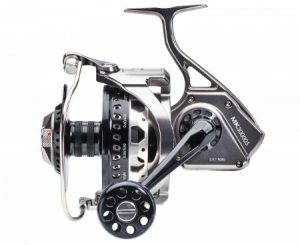 The line capacity is 120/6 to 170/12 (yards/lb) and is ideal for smaller saltwater and freshwater fish ranging in weight from 5 lbs to 20 lbs. 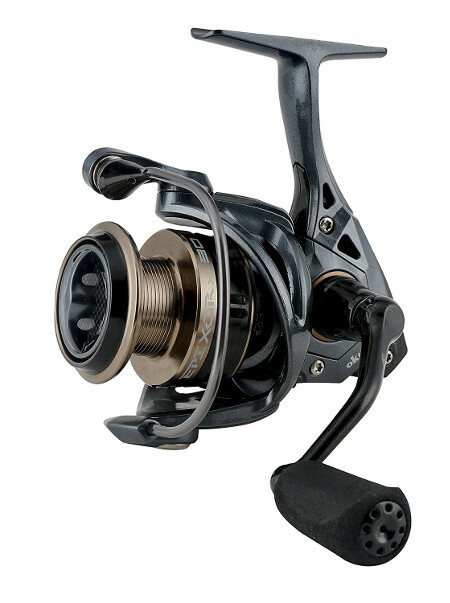 Okuma Makaira Spinning Reel: The Makaira spinning reel is the King of Okuma saltwater reels. It’s huge! If you are wanting to catch large saltwater game fish like Tuna, Swordfish, sharks and Marlin then the Okuma Makaira spinning reel is the ideal reel. The Makaira is a “tank” of a reel and can tackle the largest of big game fish. The line capacity (braid) is 415/50 to 570/100 (yards/lb). 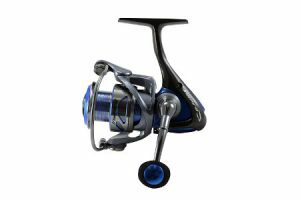 Okuma Epixor Spinning Reel: The Epixor spinning reel is a lightweight reel that makes it easy to cast and fish all day long without tiring. it’s a small saltwater or freshwater reel suitable for fish weighing from 5 lbs to 15 lbs. The line capacity is 110/6 to 180/12 (yards/lb). Okuma Azores Spinning Reel: The Azores is a medium size saltwater spinning reel. It’s smaller than the Makaira. It’s designed for medium size saltwater fish like small tuna, striped bass, salmon and cod. The line capacity is 180/10 to 240/30 (yards/lb). It’s ideal for fish weighing between 5 lbs and 40 lbs.